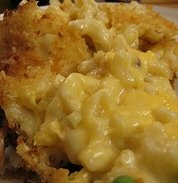 I never want to be without my old fashioned macaroni cheese recipe. Creamy, cheesy it's love on a fork. Speaking of the blue box, find out why you should stay away from it until a few things change.